Drop earrings , crystal purple and silver rhodium . Clasp sleeper . 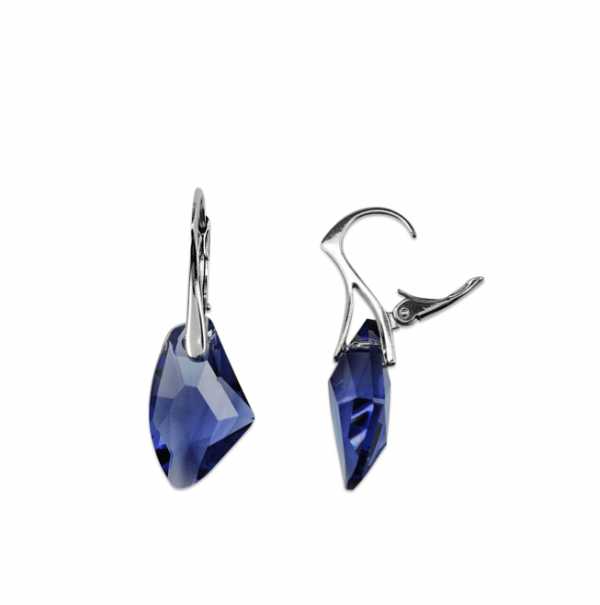 BLUE CRYSTAL DROP EARRINGS : Drop earrings , crystal blue and silver rhodium. Clasp sleeper. Our selection of fantaises jewelry is selected with care. Modern jewelry , ancient , contemporary , classic, in silver inocydable steel or gold plated , with crystals , these jewels will accompany you throughout your day. Ask your freetax code in order not to pay VAT if you live outside the European Union.